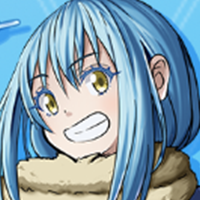 Crunchyroll - Crunchyroll is Supporting Grand Summoners x That Time I Got Reincarnated as a Slime! 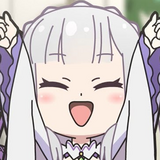 Crunchyroll is Supporting Grand Summoners x That Time I Got Reincarnated as a Slime! 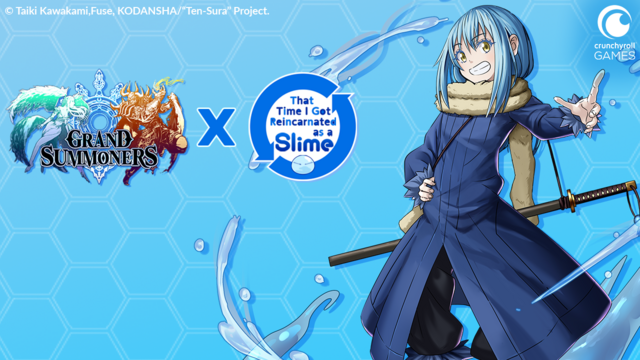 Grand Summoners is getting the isekai treatment with a That Time I Got Reincarnated As A Slime collaboration!! 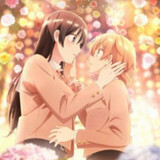 Grand Summoners is getting the isekai treatment! 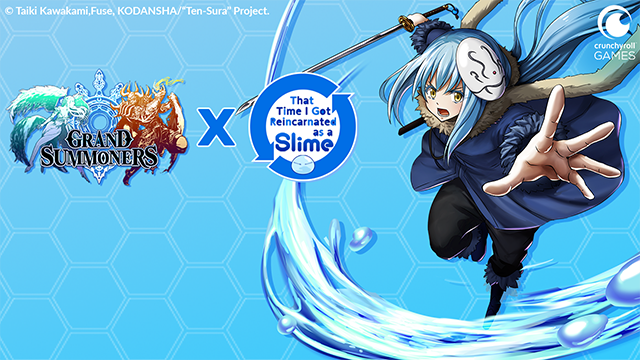 The pixel RPG game’s newest collaboration is with one of our favorite shows, That Time I Got Reincarnated As a Slime! It’s a fast-paced, real-time JRPG with tons of strategic and tactical decision-making! The mobile game also gives players the ability to experience four player co-op gameplay with players worldwide. 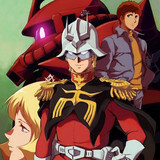 Join battles with your friends or face down enemies solo! 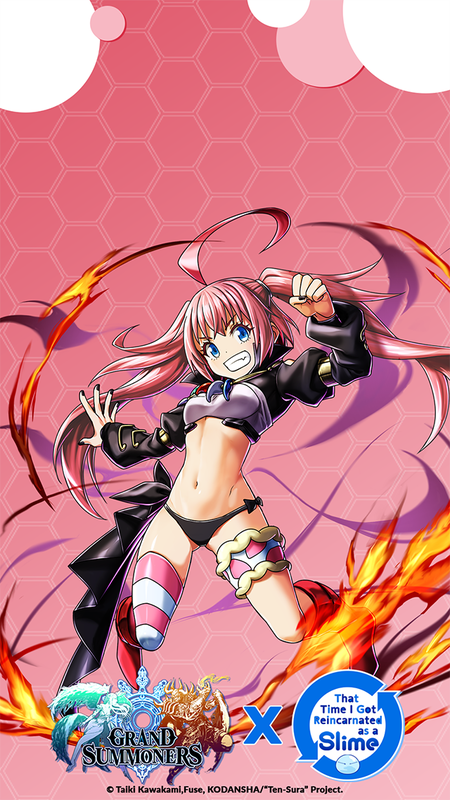 Thanks to the slimecarnation, players can add Rimuru, Milim, and Benimaru to their teams! You can also collect exclusive Slime character mobile wallpapers like this one! 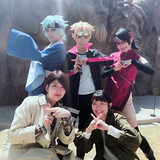 Grand Summoners has previously done collaborations with other anime like Kill la Kill, One Punch Man, and Golden Kamuy. Enjoy the legendary Rimuriffic Grand Summoners collaboration today! If you love That Time I Was Reincarnated as a Slime, check out the Crunchyroll Grand Summoners x Slime Collaboration! Get even more of the slime goodness and have fun playing the game!